This is the most basic refinement material, one Polinium is consumed for each refine you wish to attempt, and it applies no bonuses whatsoever to your success rates. This material can be used instead of Polinium as the primary refining material, Infinium's only purpose is to prevent your equipment from being destroyed in the case of a failure. You should never attempt to refine expensive gear without Infinium as there's a very good chance you will lose your item. Likewise, it's not worth using Infinium to refine cheap items like Desert Scorpion equipment since you'll quickly outgrow these items anyway. This powder will increase your success rates and can be used in conjunction with Polinium or Infinium. This powder cannot be used together with Lucky Powder, you must pick one or the other. Blessing powder will increase your chance of success by 50%, but offers no additional bonuses. This powder will not increase your chance of succes, however if your upgrade does succeed it will have an increased chance to jump by +2 or +3 refinements at once. Lucky powder increases your chance of gaining +2 by 50%, and your chance of gaining +3 by 10%. Any player can refine items at any time/place by opening the refinement screen from their menu at the top left of the screen. It's important to understand what the percentage figures on this screen mean, as well as remembering that Gold Refiners will always have better success rates and are preferable in most situations. The three rates on the left will indicate any added bonuses you have for (top to bottom) the base success chance of the refinement, the chance to jump +2 upgrades, and the chance to jump +3 upgrades. The two rates on the right indicate (top to bottom) your chance of protecting the item from destruction during failure, and your bonus chance to protect the item from decreasing in refine rate on failure instead of being destroyed. The first of these two rates can only be increased by Infinium, which will give you 100% protection against destruction. The second rate can be increased by using a Gold Refiner. When an item succeeds its refine, then and only then will the +2 and +3 rates be taken into account. Even if you have a 70% chance for +2 refine (Gold Refiner + Lucky Powder) you still first need to succeed in the refine before that 70% will have any impact on your result. A gold refiner's bonus is derived solely from their back accessory item, while the emblem in the shop title is derived solely from that player's weekly refiner rank. This means a player might have a gold or silver emblem on their shop without actually having a hammer equipped, resulting in no bonus. Likewise, a player can use their hammer after their weekly rank has already been reset, resulting in a gold refine shop with no emblem. These two things are separate from one another. 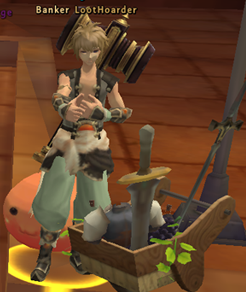 When equipped with a "Master's Golden Hammer", a players shop will confer a number of bonuses to any refinements carried out there. See the "Refining" section for an explanation of these bonus rates. 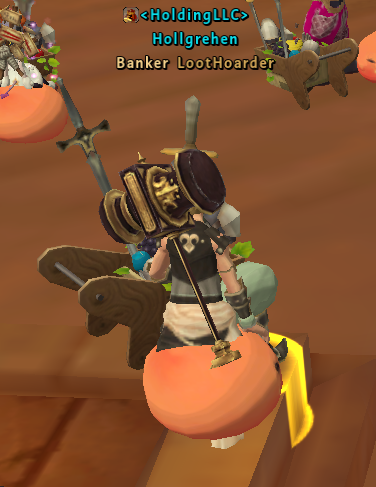 Remember to always confirm that the Gold Refiner you are using is wearing a hammer accessory on their backs! Success Rates, and how do they work? The final section of this guide will cover refine rates, and how success chances are calculated. 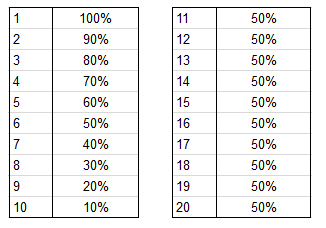 The following table shows the "base success rate" of refining items from +1 to +20. These success rates assume that you are using only Polinium and no Gold Refiner bonus. All bonuses that apply to refining are first added together, and then multiplied by the base success rate. In most, but not all circumstances, Infinium + Blessing powder will have the most favorable results since it will increase your base chance of success and prevent a total failure, refine reduction, or reduction back to +10 during the refining process. One of the few exceptions to this is the +8 to +9 upgrade. Since +9 to +10 has the lowest chance of success out of all refine levels, it can be beneficial to use a Lucky Powder at +8 in order to try and "skip over" the difficult refine of +9 and jump directly to +10. Since the upgrades between +1 and +10 have much lower success rates than +10 to +20, it is often a better idea to use a +10 Immediate Refine Stone to skip these upgrades all together, and will frequently cost much less than spending the many infiniums required to traverse these upgrades normally - though this can vary depending on the current market values of these items. A +10 Immediate Refine Stone will always change your current upgrade to +10 from any level below 10. It will not add 10 to the current refine rate. This means you cannot use 2 of these stones to add together for +20. If you use a +10 stone on an item that is already +9 it will only be increased by 1 upgrade. These stones can currently only be obtained as event prizes, or as a WoE reward for guild fortress/castle owners. If you have any questions in regards to this information please feel free to visit our forums.